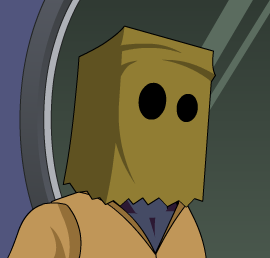 Description: If you're too lazy to get a costume or simply mask your identity, this is the way to go! Happy Mogloween! Description: If you're too lazy to get a costume or simply mask your identity, this is the way to go! Happy Mogloween 2013! This is a Mogloween 2013 Seasonal Rare! Description: If you're too lazy to get a costume or simply mask your identity, this is the way to go! Happy Mogloween 2012! This is a Mogloween 2012 Seasonal Rare! Description: If you're too lazy to get a costume or simply mask your identity, this is the way to go! Happy Mogloween 2011! This is a Mogloween 2011 Seasonal Rare! Description: If you're too lazy to get a costume or simply mask your identity, this is the way to go! Happy Mogloween 2010! This is a Mogloween 2010 Seasonal Rare! Description: If you're too lazy to get a costume or simply mask your identity, this is the way to go! Happy Mogloween 2009! This is a Mogloween 2009 Seasonal Rare! Location: Bubble's Shop - Mystcroft. Description: If you're too lazy to get a costume, this is the way to go! This is the 1st Edition released during AQW's first Mogloween 2008! Note: Also see Paper Bag Head. Thanks to Aguila002, Everen, mturf, Rj_nicx and Ultrapowerpie.